If the FHA helps you buy the house, expect to pay mortgage insurance for a while. 2. Can My Mortgage Insurance Be Rolled Into Closing? 3. Is FHA Mortgage Insurance Tax Deductible? 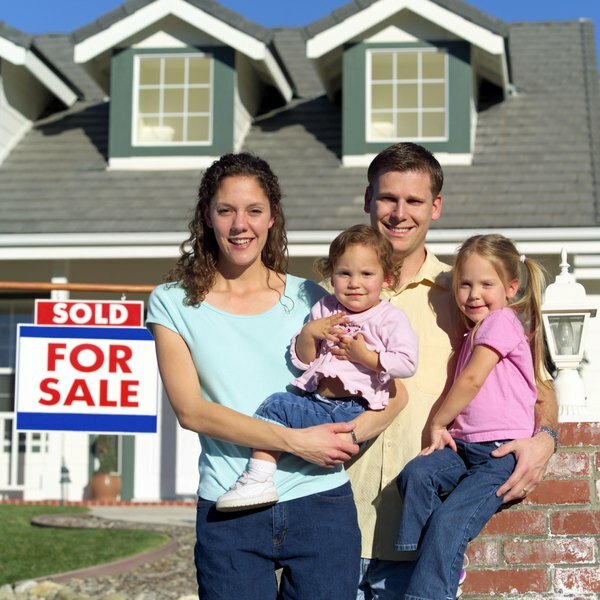 Getting a mortgage backed by the Federal Housing Administration can be a great deal. Down payments run as low as 3.5 percent, compared to 20 percent for a conventional loan. Rates are lower, too – the bank knows the FHA will cover its losses if you default. You will, however, have to take out FHA private mortgage insurance and keep paying it for a while. Mortgage insurance premiums are a way for the FHA to provide home loans to those who can't afford large down payments, and the length of time you pay them depends upon how much you put down. For some loans, PMI is paid for around 11 years, but some may require payment over the life of the loan. FHA mortgage insurance actually comes in two parts. The first piece is the up-front mortgage insurance premium, which equals 1.75 percent of the loan. If you buy a $250,000 house, for instance, that's a $4,375 premium. The FHA gets the money at closing, but you don't pay cash. Instead, the lender pays the FHA and adds the premium to the loan balance. You continue paying mortgage interest on the premium until you finally pay down the loan. In addition to the up-front premium, you pay the FHA an annual mortgage insurance premium based on the length of the mortgage, the size of the mortgage and the size of your down payment. For example, if you take out a 30-year, $250,000 mortgage with a 3.5 percent down payment, it costs you a 0.85 percent premium every year, as of 2018. If the mortgage is above $625,500, the premium is 1.05 percent. The rates are different for 15-year mortgages. PMI removal is not impossible. If you have a 15-year FHA loan, the FHA cancels your mortgage insurance as soon as you pay your debt down to 78 percent of the home's value. With a 30-year mortgage, it's tougher: You need to hit the 78 percent cutoff and also make at least five years of mortgage payments before cancellation. In many cases that won't be an issue. If you have, say, a 3.5 percent down payment, it'll take much longer than five years to pay the loan down to 78 percent. You can also refinance out of mortgage insurance. If you get an FHA loan to buy your house and find yourself living more comfortably later, you can always save up a down payment and get a conventional refinance loan. With private mortgage insurance, lenders usually require an appraisal to prove your loan-to-value ratio is good enough to drop the insurance. That's bad news if your home's value has dropped. With FHA mortgage insurance there's no appraisal. The FHA uses your original purchase price or original appraised value, whichever is lower, as the basis for the cutoff point. On a $250,000 house, you could cancel your insurance when you'd paid the mortgage down to $195,000, even if your home's value declines in the meantime. How Is Lenders Mortgage Insurance Calculated? What Are the Estimated Prepaid Items on an FHA Loan? What Is an FHA UFMIP/VA Funding Fee? What Percent of Investment Accounts Can You Use for Income for an FHA Loan?